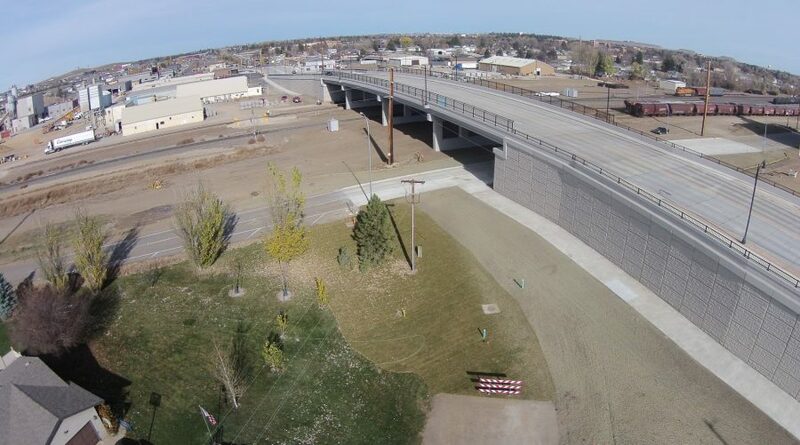 Year in and year out, Dickinson Ready Mix wins Gold Star Awards in the North Dakota Ready Mix & Concrete Products Association Excellence in Concrete Awards program. Here are just a few of the Award-Winning projects we have completed during the past few years. This bridge has been needed in the City of Dickinson for years and had been discussed since the early 1980’s. The final product is an aesthetically appealing bridge, new safer roadways with bright sidewalks. and clean, good looking boulevards throughout. The bridge will serve Dickinson’s transportation needs for many, many years to come. 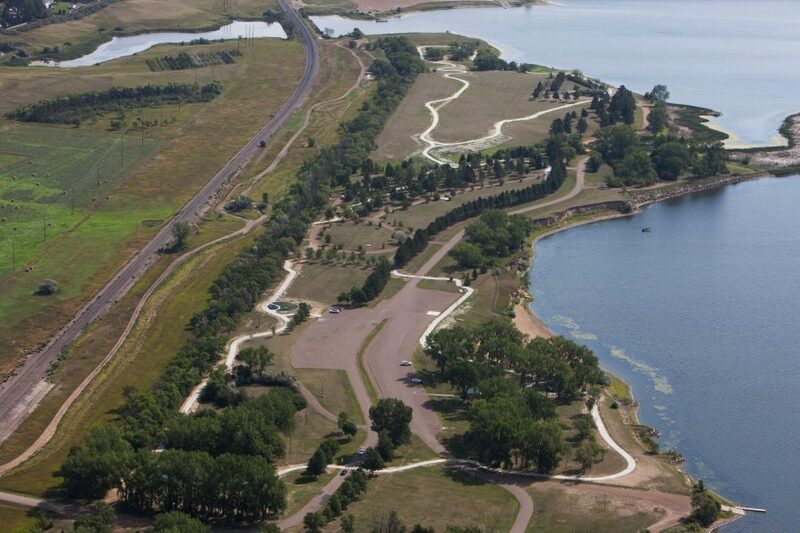 When the design of the Crooked Crane Trail began, everyone involved wanted a long-lasting sustainable trail to enhance the recreational experience for area residents. What they got exceeded expectations. The Crooked Crane Trail isn’t just used by walkers and joggers, it is also used by people who enjoy biking, roller blades, fishing, Frisbee golf, outdoor enthusiasts, dog walkers, and others. Fluffy Fields Vineyard & Winery started in the spring of 2014, after the wine making hobby of Kevin and Deb Kinzel grew to the point that they needed a space devoted to their hobby. 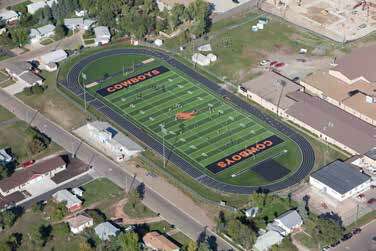 This amazing facility meets all of the world-class competition requirements, and the completed project gives Killdeer a first class competition track facility and a fantastic football venue. The City of Beach isn’t the center of the oil boom, but they have seen some growth and increased traffic associated with it. With increased traffic comes the need to provide safe paths for walkers, joggers, and bikers. 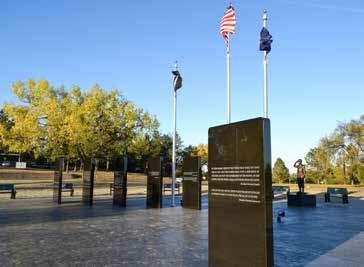 Four years ago when the Stark County Veterans Memorial Committee begin planning this memorial, everyone was excited about the idea. No one could have imagined the spectacular memorial outcome. 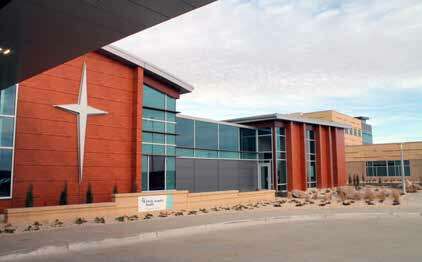 St. Joseph’s Hospital has been serving southwest North Dakota for more than 100 years. 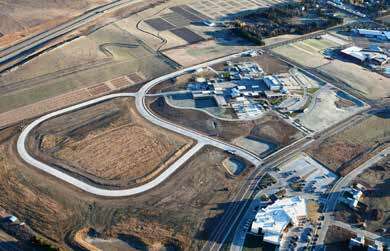 And now, the new Hospital and Medical Office Building will surely allow CHI St. Joseph’s Health to provide quality health care to this Region for another 100 years. 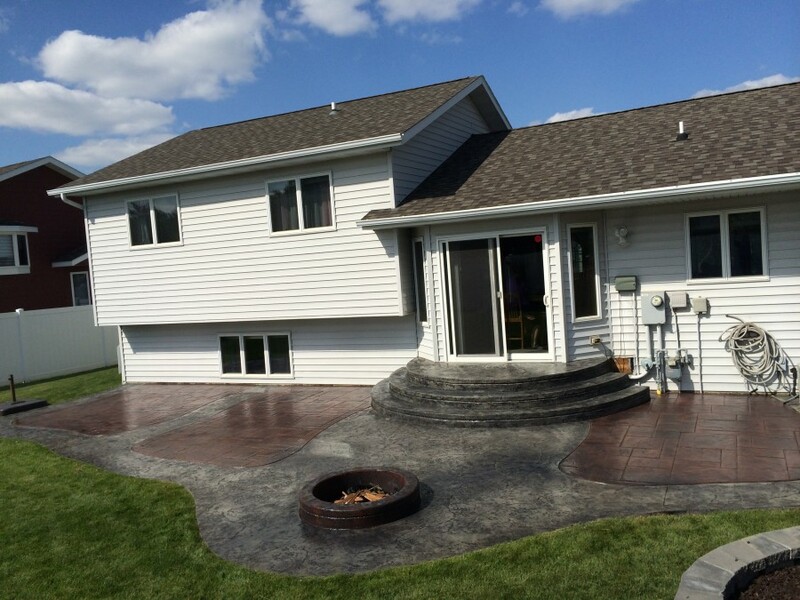 This 800 square foot patio has become a spectacular focal point and a great start to the backyard renovation for the Lewis’ home. They have been able to entertain on and build memories around the fire pit while making “S’mores” with their children. When St. Joseph’s Hospital began its design process, the City of Dickinson knew they would have to do an upgrade on Empire Road to accommodate traffic to the new hospital. The Southwest North Dakota town of Killdeer can boast of two unique distinctions. First, each July they host North Dakota’s oldest PRCA rodeo. 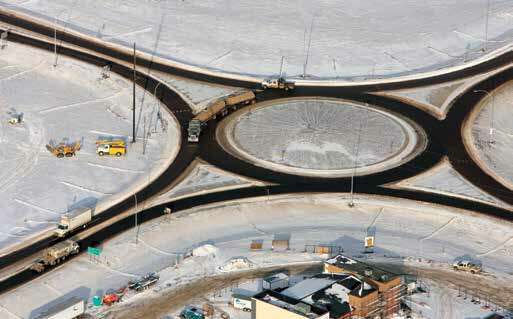 Secondly, the first roundabout on a North Dakota highway was recently completed in Killdeer, ND. 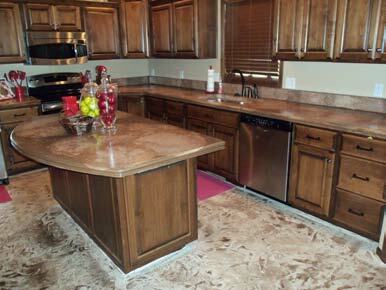 Jeremy Lyons has designed and placed all types of decorative concrete in this area for the past several years. His projects range from the custom imprinted team logos on grandstand walls at the Southside Municipal Ballpark to chemically stained floors and even custom concrete furniture. 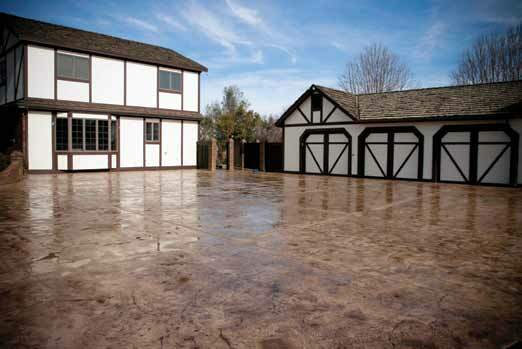 So when it came to finishing his own home, he wanted to showcase the types of decorative concrete that he usually creates for others. 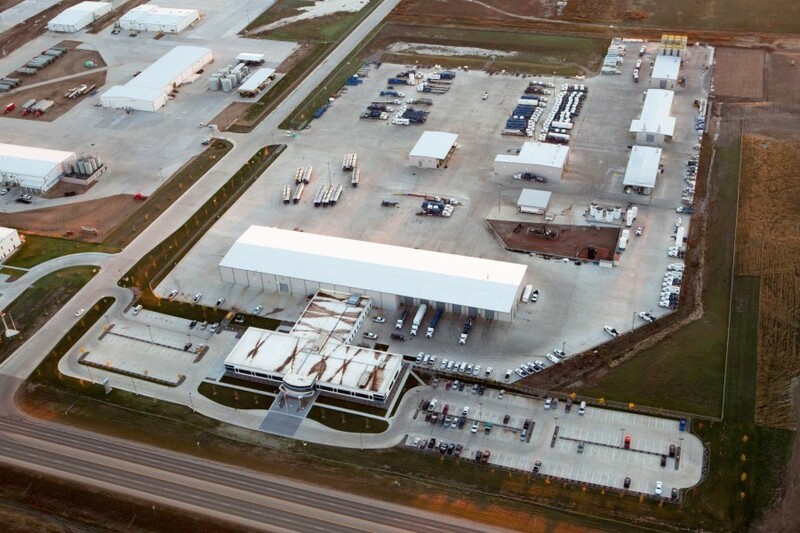 Baker Hughes, a world leader in Oilfield Services chose Dickinson for it's base in the Bakken. And they chose Dickinson Ready Mix to supply the concrete needed for their impressive operation. When it came time to update their landscaping, the Armstrong’s wanted something that blended with, and actually enhanced the natural beauty of their surroundings. 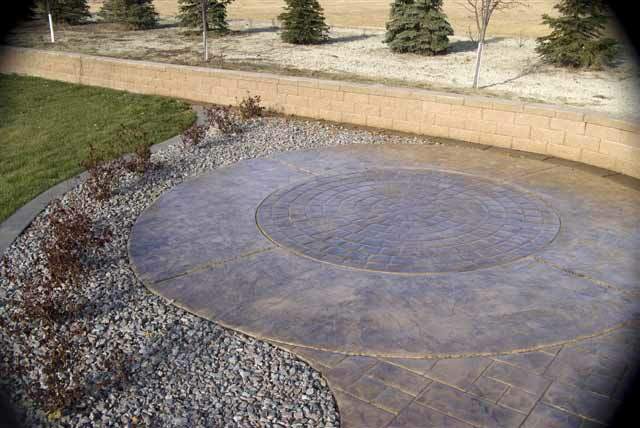 They chose textured concrete for their landscaping project to provide walkways, pool decks, patios and driveways that were functional, durable, low maintenance and blended with their natural surroundings. When Ron & Sue Schuh built their new house, they wanted to create an outside living area that complimented the features of the house, enhance the beauty of the yard, maximize functionality and provide good traffic flow through the space. 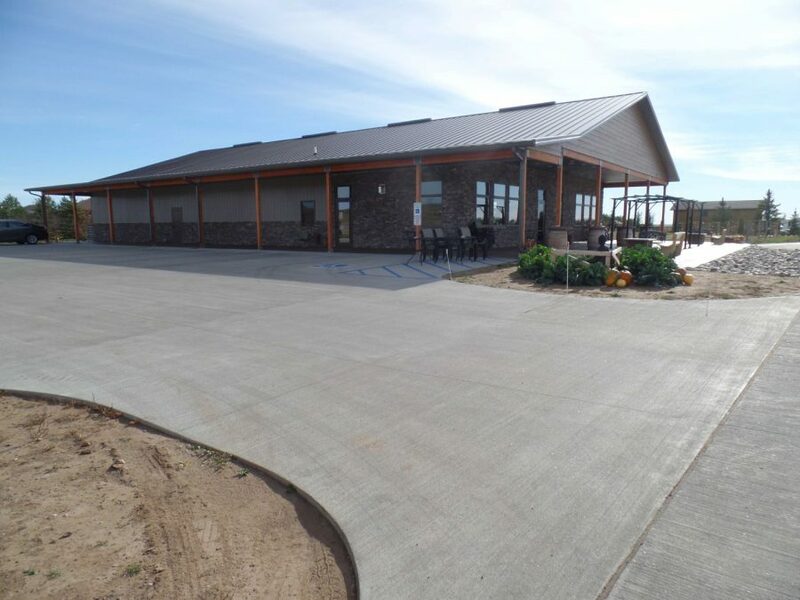 When Braun Distributing decided to build a new 34,000 sf office and warehouse in north Dickinson, they also decided they wanted it to be a one-time investment, including the parking lot, so concrete was chosen for the parking area because of its low maintenance and long service life.